East Yorkshire Golf Passport at Hull & East Yorkshire01377 253583work Golf - 18 holeThe East Yorkshire Golf Passport is a great way to play at four of East Yorkshire's premier courses for one payment of £68, valid for 7 days from a start date of your choice. Hainsworth Park, Hornsea, Driffield and Beverley Golf Clubs represent four of the finest golf challenges and we have joined forces to bring you a great reason to visit East Yorkshire. Not only that, our simple 'one point of contact' booking method means less hassle for you - specify the dates you wish to play and we will organise your tee off times and accommodation. It couldn't be simpler. Formed in 1982, Hainsworth Park is set in established grounds with mature trees and interesting water features. This easy walking championship length course has wide fairways but beware the many hazards that can ensnare the wayward shot! Driffield Golf Club lies just south of the town and is easily accessible from Hull, Beverley, York and the coastal resorts of East Yorkshire. The course is in a tranquil setting surrounded by the farmland of the Sunderlandwick estate of which it is a part. The natural features of the course play host to a wide variety of wildlife and the trout stream which runs through the course is a particular feature. Considered by many to be one of the best golf courses in Yorkshire, Hornsea Golf Course is both fair and demanding to golfers of all ability. Established in 1898 and set in secluded parkland, the picturesque course at Hornsea Golf Club offers you a challenging round of golf on superb greens and gently undulating fairways. The East Yorkshire Golf Passport is a great way to play at four of East Yorkshire's premier courses for one payment of £68, valid for 7 days from a start date of your choice. Hainsworth Park, Hornsea, Driffield and Beverley Golf Clubs represent four of the finest golf challenges and we have joined forces to bring you a great reason to visit East Yorkshire. Not only that, our simple 'one point of contact' booking method means less hassle for you - specify the dates you wish to play and we will organise your tee off times and accommodation. It couldn't be simpler. Located only a couple of minutes away from the shops and attractions of the market town of Beverley. Beverley and East Riding Golf Club welcomes visitors at all times of the year and on all days of the week. The club is located on the Westwood, an historic area of common pasture that is still grazed by cattle during the spring and summer months. Please contact for individual clubs' opening times. Terms and Conditions: All bookings must be confirmed by payment of a £5.00 per person deposit within 7 days. All deposits are non-refundable. Payment in full must be made at least 7 days prior to your first round. At least two of the four courses must be played with each Passport purchased. This means you cannot play 4 times at the same course with a 4 round passport, 3 times at the same course with a 3 round passport or twice at the same course with a 2 round passport. 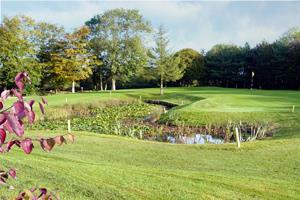 Extra golfers turning up to play on any of the booked days will be subject to the daily green fee rate at each course.